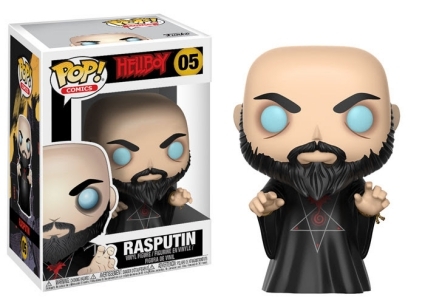 Son of a…Brother Red launches the Pop! Comics line! Oh, yes, you read that correctly. 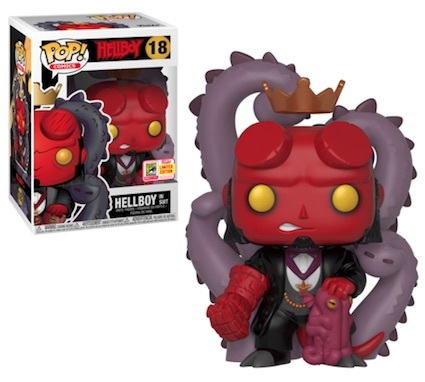 Funko Pop Hellboy debuts with several stylized subjects from the Dark Horse Comics series. 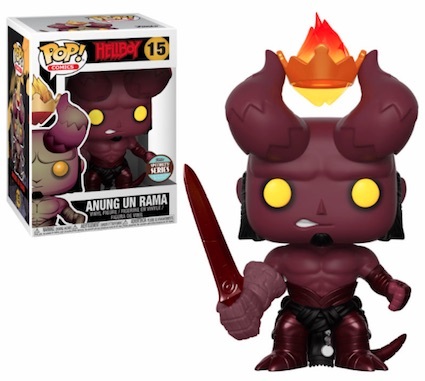 The Funko Pop Hellboy set begins with two detailed options for Anung Un Rama (a.k.a. 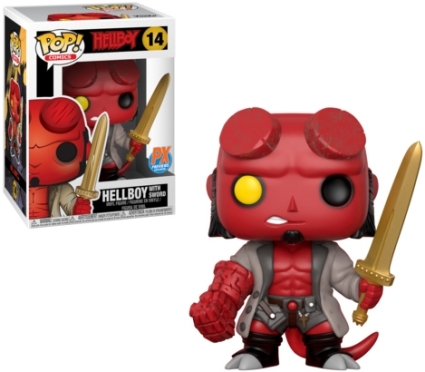 Hellboy) featuring the distinct red skin tone and yellow eyes. 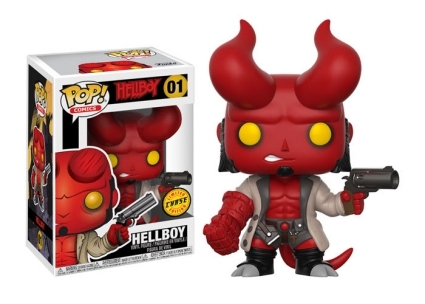 His signature weapons—"The Right Hand of Doom" and his trusty firearm, "The Good Samaritan"—are perfectly sculpted for The Great Beast. 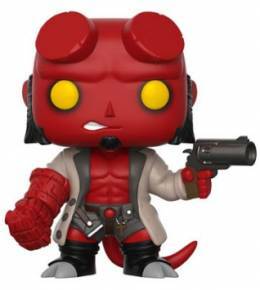 The main option for Hellboy shows sawed-down horns, while the chase variant has the full horns—truly a rare sight. 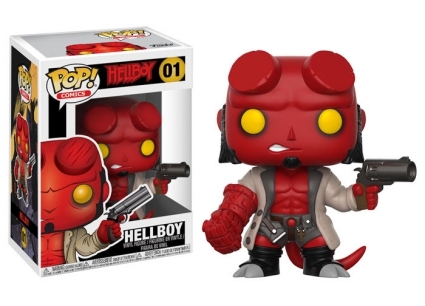 Order Pop Hellboy Vinyl Figures on Entertainment Earth. 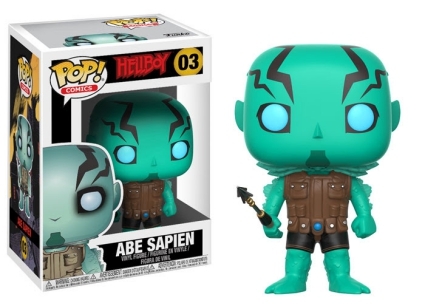 Other popular characters can also be found in the release, including Liz Sherman with a fireball in one hand and a cigarette in the other, and fellow field agent Abe Sapien, whose scales and gills are slightly visible. 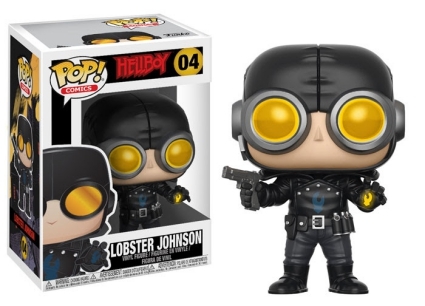 Also making an appearance is Lobster Johnson, Hellboy's favorite comic superhero. 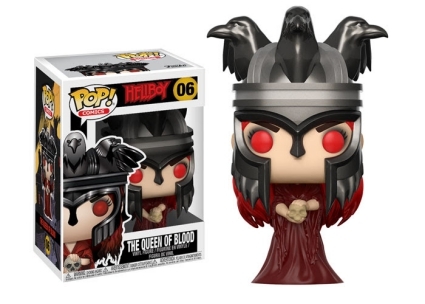 Additionally, Funko Pop Hellboy includes the epitome of evil, Rasputin, in a black ritual robe, and The Queen of Blood wearing a helmet adorned with crows. 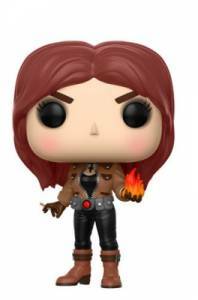 Despite the plethora of comic book choices, it does seem fitting for Funko to begin the Pop! 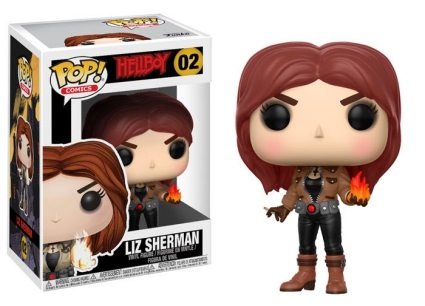 Comics line with a character whose first appearance came via 1993's San Deigo Comic-Con Comics #2 considering the rich history between Funko and San Diego Comic-Con events.